Dell has launched its XPS 13 Ultrabook in India, with a starting price of Rs. 79,900. Dell had unveiled its first Ultrabook, XPS 13, at the CES 2012 event earlier this year. 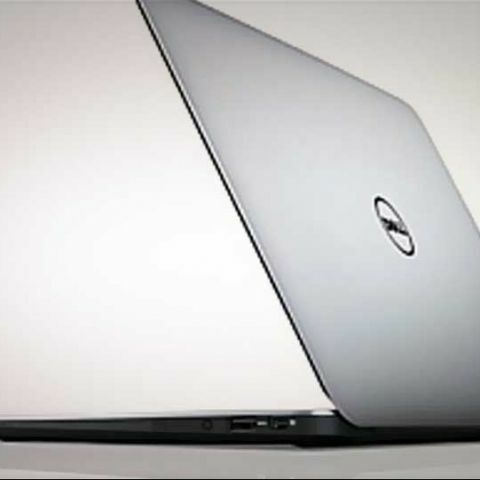 While announcing the new Ultrabook, Dell India executive director and general manager for consumer & SMB, Mahesh Bhalla said the XPS 13 is available at the Dell stores and other retail stores across India at a starting price of Rs. 79,000, excluding taxes. Bhalla says the new XPS 13 comes with enterprise ready features for professionals. The Dell XPS 13 Ultrabook runs on second generation Intel Core i5 or Intel Core i7 processors, Intel HD 3000 graphics and a bright high definition WLED 300-nit display. The XPS 13 also features a 128GB or 256GB solid state hard drive. “We are delighted with the launch of the XPS 13 and congratulate Dell on bringing an exciting Ultrabook into this market. The Dell XPS 13 boots in seconds and the Intel smart connect technology provides users with a no-compromise mobility in thin, light and sleek form factors,” Intel South Asi managing director for sales and marketing Debjani Ghosh said. We've already done a detailed hands on with the new Dell XPS 13 Ultrabook. For more details, read our First Impressions of Dell XPS 13. Of late a number of manufacturers have launched their Ultrabooks in India. Toshiba entered the Ultarbook market with Portege Z830, while HP came out with its HP Folio 13. Samsung has also joined the race with its Series 5 and 9 Ultrabooks. Read our detailed coverage on the Ultrabooks in India here. DELL XPS 13 (2015) or HP Spectre X360, which one should i buy? Anybody know which ultrabook is best among Sony Vaio Pro 13 or Macbook Air 13 ?